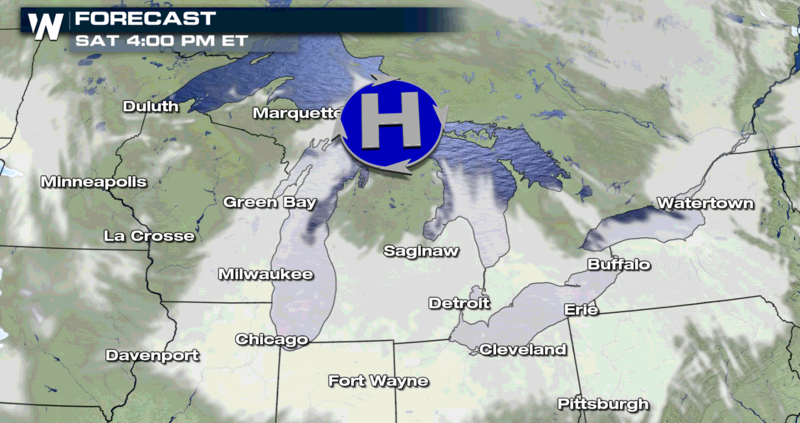 Cold air will be pushing across the Great Lakes to start this weekend, fueling focused lake effect snow. In the heaviest lake effect snow bands, accumulations may also reach to 10″. 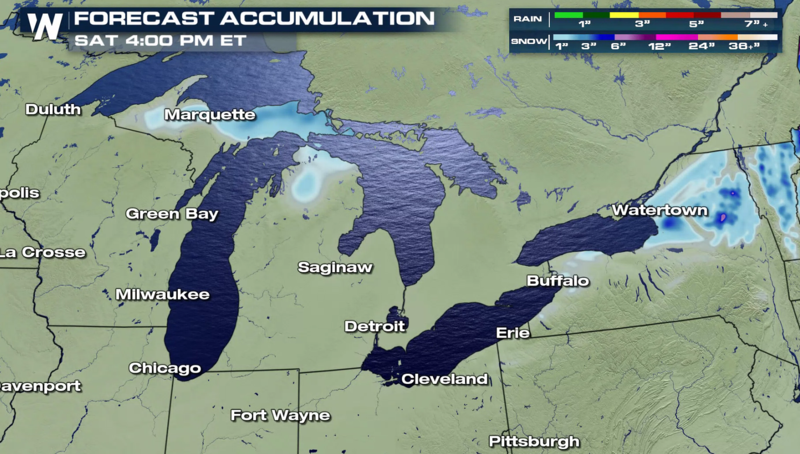 The heaviest squalls are expected in the Upper Peninsula of Michigan along Lake Superior into tonight (Friday). 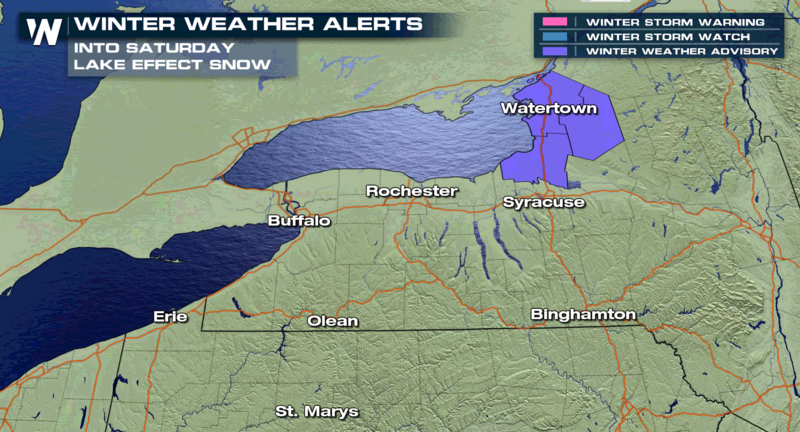 Totals of 3″ to 5″ are likely downstream of Lake Ontario in New York. 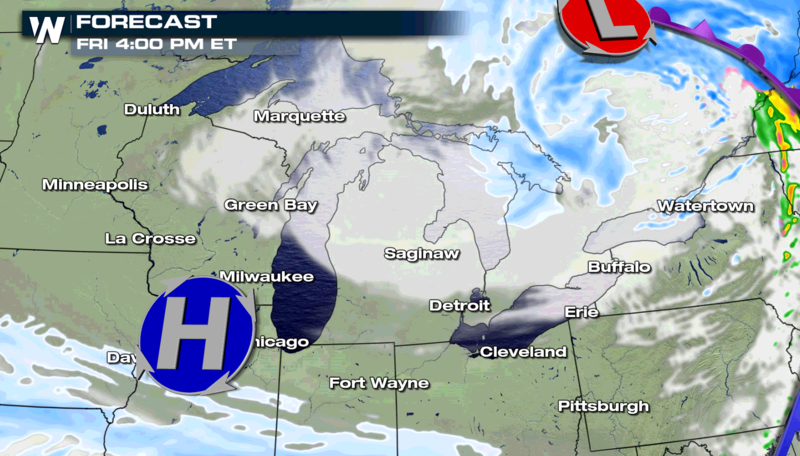 Cold air circulating across the warmer waters of the Great Lakes, coupled with a low pressure center, will produce areas of heavy snow through Saturday. 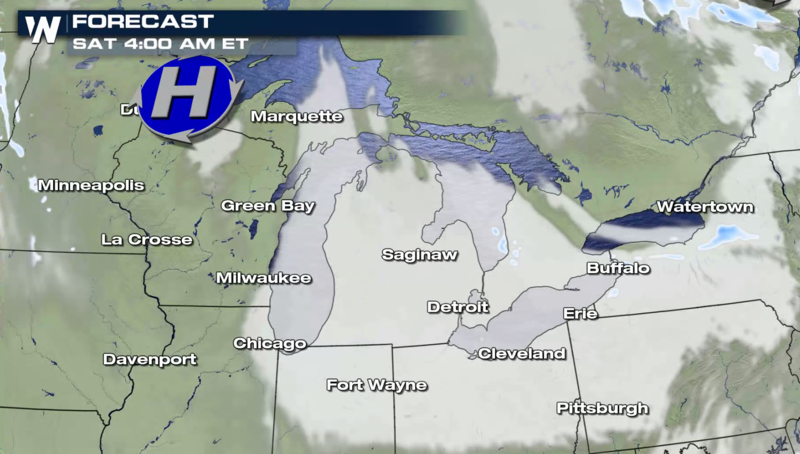 The wind will gust to 40 mph, creating low visibility with blowing and drifting snow. 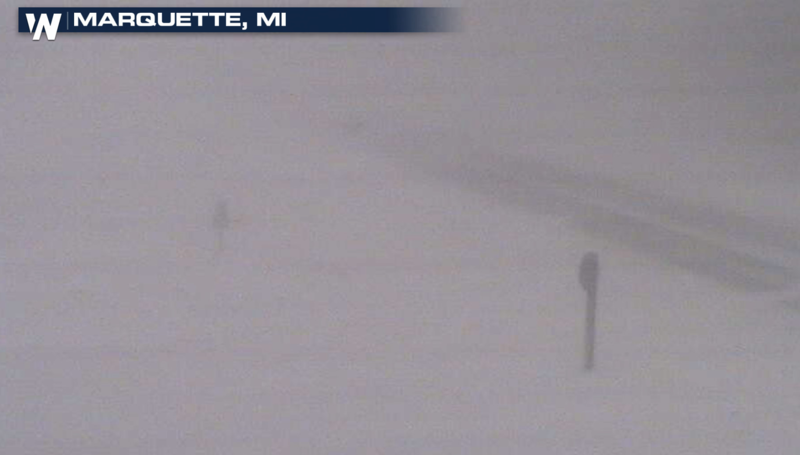 M-28 remains closed to the west of Munising, Michigan. 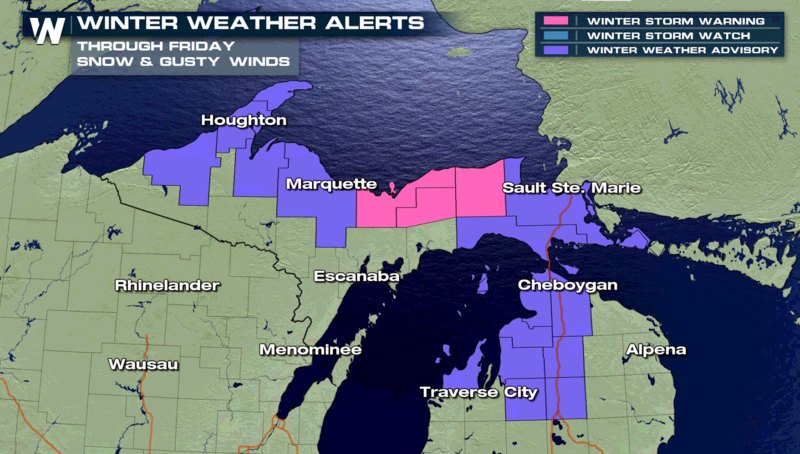 White out conditions are expected near Lake Superior and in open inland areas. Stay tuned to WeatherNation on-air and online for updates.